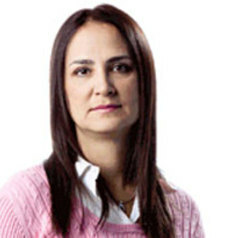 Dr. Andrea Furlan is an Associate Professor in the Department of Medicine at the University of Toronto and a Staff Physician and Senior Scientist at the Toronto Rehabilitation Institute. She is also a Scientist at the Institute for Work & Health in Toronto. She obtained her PhD in Clinical Epidemiology from the Institute of Health Policy, Management and Evaluation at the University of Toronto. Dr. Furlan has extensive experience in reviewing the scientific literature for the Cochrane Collaboration and for clinical practice guidelines. She received a CIHR New Investigator Award, and her research focus is on treatments of chronic pain including medications, complementary and alternative therapies, and rehabilitation. She was the team leader for the development of the Canadian Opioid Guideline, and is now involved with Guideline's National Faculty in the dissemination and implementation of the guideline across Canada. She developed the Opioid Manager™, a point-of-care tool for physicians prescribing opioids to help manage chronic pain, which is available in many EMR platforms and as an App for iPad/iPhone. She is the author of the My Opioid Manager, a book and App for patients using opioids for chronic pain. Dr. Furlan is a co-Chair of Echo Ontario (link is external) for Pain and Opioid Stewardship.